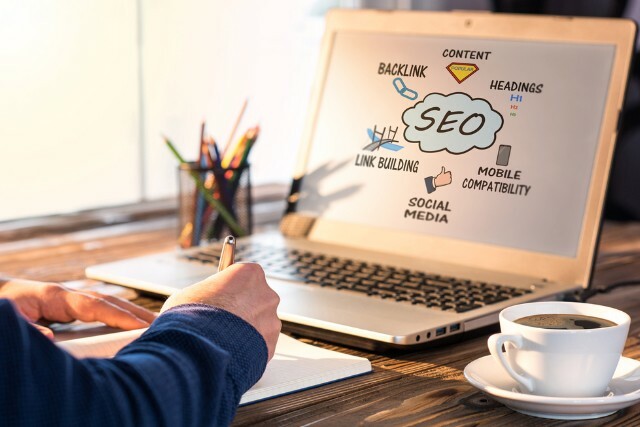 SEO is the process of improving the visibility (ranking) of a website on Google using Google-friendly elements and techniques. 1. Ninety-nine percent of customers looking for your services never scroll past the first page of search results. That means your business goal should be to appear on page one of the search results. That’s the aim of SEO. 2. Click-throughs to your business following natural searches (SEO) have a 14.6% buy rate vs. direct mail or print advertising which have a 1.7% close rate. You may wish to consider switching your spending! 3. Ninety-one percent of internet users who are looking for services to buy use natural search results. SEO! 4. Seventy-two percent of customers who did a local search for a business visited a store within 5 miles of their home. Do local customers see your business when they are looking for your service? 5. By the way… Google accounts for over 76% of all worldwide searches. So you have to be seen on Google! 6. 58% of customers search for local businesses every day. 7. 89% search for local business at least once a week or more. Is your business address appearing in front of your local customers? 8. 86% of local customers look up a local business on Google maps. Are you listed there? 9. 76% of local searches result in a phone call. 10. A massive 72% of customers who did a local search for a business visited a store within 5 miles of their home. If you are not using SEO and would like to learn more… feel free to contact us: cnelsonjeffers@breckshire.com. Chris Nelson-Jeffers is a leading online marketing expert working with select businesses, organizations, and professionals in the Wausau, Wisconsin area to optimize and expand their online presence so they can increase sales and grow their business. Contact Chris today to learn how you can leverage modern digital marketing practices to grow YOUR business! Grow your Potential Customers: Extend your Brand’s Reach to Thousands of Targeted Audience on Facebook and LinkedIn with $200. © 2014-2019 Breckshire LLC. All Rights Reserved. Any trademarks shown are the property of their respective owners.